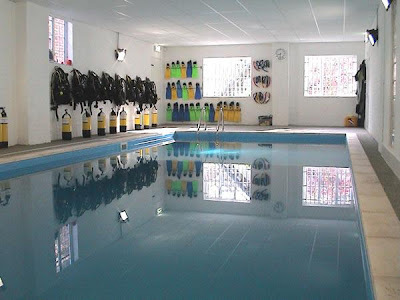 The London School of Scuba, in West London, is a PADI Scuba Diving centre, with on-site facilities to allow you to experience diving without venturing outside the M25. For £25 you can take the first step towards being a diver with a try-dive in their heated dive training pool. This allows people to experience breathing underwater for the first time with a professional scuba instructor or divemaster. Sure, this is thousands of miles away (literally and metaphorically) from diving on a tropical coral reef, but it can help you to develop the necessary skills so you wont have to waste money on the basics if you do find yourself on holiday and wanting to swim with the fishes. The school can also arrange PADI courses at various levels and even diving holidays to places like Mozambique, Sharm el Sheikh and the Galapagos Islands.